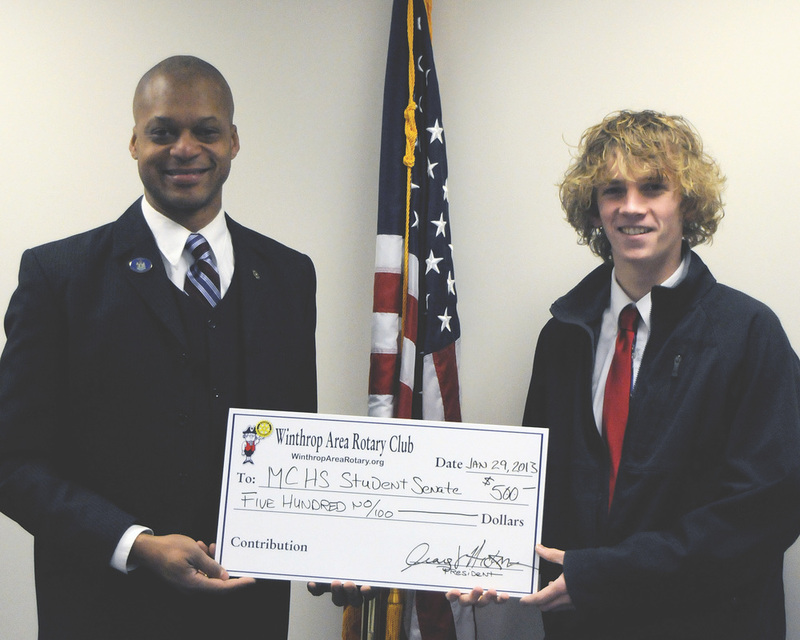 President Craig Hickman, left, presents a check to Ian Perry, president of the Student Senate at Maranacook Community High School in Readfield, Maine. The funds will be used in the construction of an educational greenhouse on the school grounds. This project dovetails nicely with the Club's efforts, working to improve local access to food and nutrition. Ian will be returning to present on the project after the greenhouse is finished and there may be a Club tour of the completed project.